I played a long game. 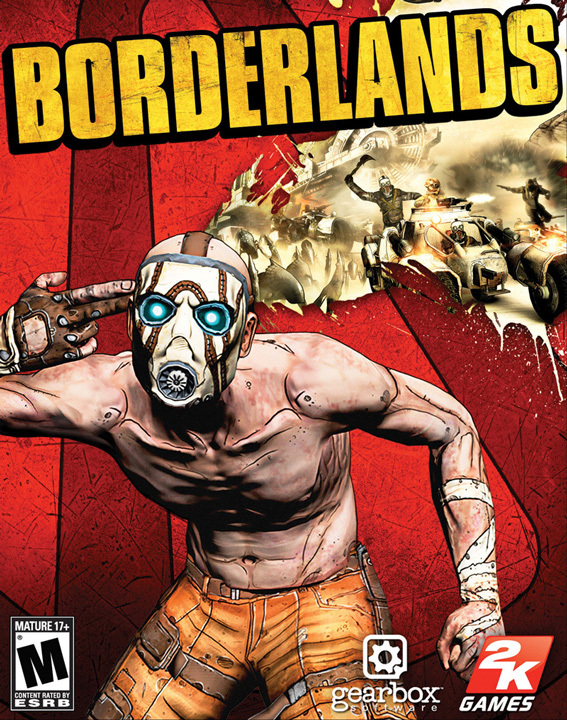 OK, by the standards of, say, a Square-Enix Epic RPG, Borderlands isn’t a LONG game. I spent 32 hours playing through it, and that’s barely enough to get through the tutorial in some games. By my standards, however, that’s an awful lot of time to devote to a game, and I think that speaks to the addictive quality of this particular one – rather than just sticking to the main story and blowing through to the end, I sought out and did every single little optional side-quest, even though it meant revisiting certain areas three or four times. Honestly, I could stop typing here – I can’t give any higher recommendation – but I think I should probably put more words on the screen and flesh this out a bit. Basically it boils down to this: If you like collecting lots and lots of loot and looking at the little numbers associated with each bit of loot and you like getting bigger and bigger numbers, this is the game for you. It helps also if you like a) post-apocalyptic settings in movies and games, and/or b) westerns, especially western/science fiction hybrids like Firefly or Hong on the Range, because the game consists of running around post-apocalyptic-pseudo-Western wastelands, shooting things, collecting the guns that they drop and going to go shoot bigger things that will then drop bigger guns and so on and so forth. In addition, while the game does have a few semi-scripted sequences, it allows you a surprising amount of freedom. If you’re used to games where exits from rooms stay mysteriously locked until you’ve defeated everything in the room, you’ll be surprised by Borderlands. While there are a couple of sequences where, yes, you’re trapped inside a room with a boss and can’t leave the room until you’ve killed the boss, they’re far from the rule. Toward the end of the game, in fact, I was getting kind of bored of shooting hordes of random cannon fodder, so I didn’t actually bother fighting anything in the two levels before the final boss fight – I simply ran from the entrance of each level to the exit, ignoring the things shooting at me. The designers also found some ways to avoid the “everything’s brown” trap that seems to infect a lot of first person shooters these days. Yes, the environment is, well, it’s largely shades of brown and gray, but they seemed to seek out ways to stick some more color in it; there’s a lot of red and yellow objects and you can change the color of the vehicle you’re driving around – I chose a nice vivid pink that stood out neatly against the background. Sadly, most of the things you’re shooting look exactly the same from level 1 to level 30. The game mixes it up a little bit here and there – just when you’re getting tired of shooting alien dog-things and mutants in hockey masks, it throws alien bug-things at you for variety – but all in all I think there are about a dozen enemy types and then a few palette swaps. This wasn’t a deal-killer for me, but I’ve heard it mentioned and it is a valid critique. Another thing I’ve heard an awful lot is people complaining about the game’s ending, and I think it’s both valid and invalid to complain about. On the one hand, it’s very anticlimactic – not the sort of thing you expect from an action game – but on the other hand it’s the perfect ending for the genre of story it is. I won’t go into it more than that, but really: If you’re expecting a “Star Wars” sort of ending, you’re going to hate it. Think “Road Warrior” and you’ll probably be happier. The story leading UP to the ending is pretty fun, but really requires you to go digging around into the side missions where a lot of the actual character development is hidden; if you just power through on the required missions you’re going to miss a lot of story. Oh, and while the game plays just fine with a controller – well, at least, with the Xbox 360 Controller – it doesn’t adapt at all to the fact that you’re using a controller. You’re going to have to remember that the game wants you to press, for example, the Y button when it says “press the Space Bar”. I’m unsure whether I’ll dive straight into any of the DLC. I only spent ten dollars on the game during Steam’s summer sale, so dropping $30 on the DLC pack seems kind of silly. As an aside, I tried finding images for this post to show the various enemy types but couldn’t find any particularly good ones. I did, however, stumble across this amazing bit of fanart by Zephos – I’ve only put the small version of it here; it links back to the flickr page where you can see the full-size version and check out the rest of their work. I found it particularly amusing because I a) played through using the Siren character and b) had a fondness for incendiary SMGs.